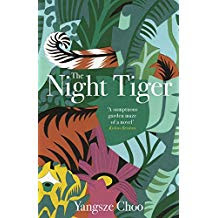 Out in early February, Yangsze Choo’s The Night Tiger (Quercus) is set in 1930s colonial Malaya and features a dissolute British doctor and his eleven-year-old Chinese houseboy. Young Ren has a mission: to find his deceased former master's severed finger and reunite it with his body. Ren’s got 49 days, or else his master's soul will roam the earth forever. A combination of historical recreation, folklore and magic realism, Kirkus has been raving about The Night Tiger. Those who remember Choo’s The Ghost Bride from 2013 will know the Malaysian-Chinese writer (now transplanted to California) is adept at this blend of the real and the magical. 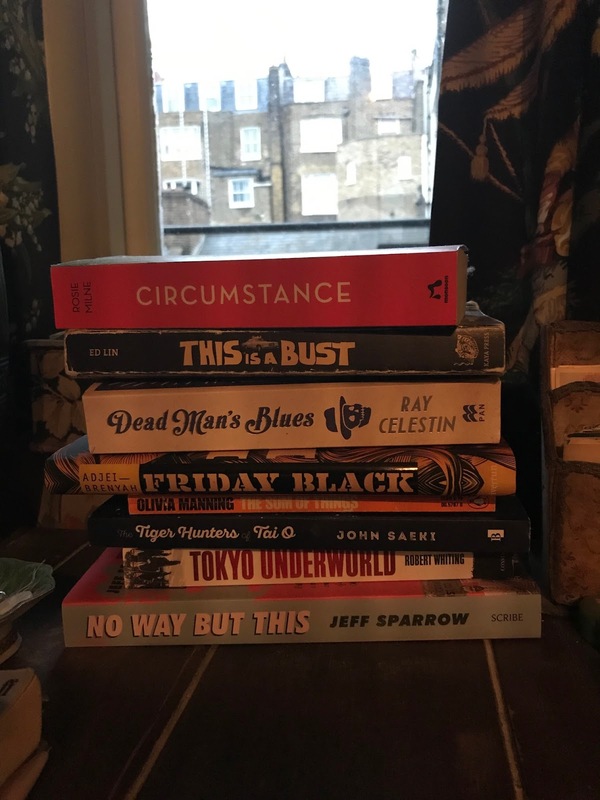 Fiona Barton was a journalist on a host of British newspapers and is now the author of a number of tense contemporary thrillers (The Widow, The Child). 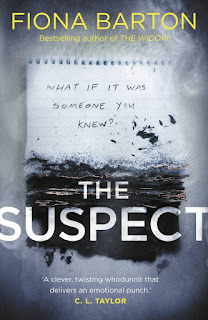 Her latest, The Suspect (Berkley Books), is out this month and centres on two eighteen-year-old girls who go missing while on their gap year in Thailand. Their families are uncomfortably thrust into the media spotlight. Journalist Kate Waters is chasing the girls’ story for both career, and very personal, reasons (her own son went backpacking in South East Asia and has never returned). The Suspect is getting a massive push in the UK – Barton has previously had great reviews and been a Richard & Judy Book Club choice (a rather anodyne, but popular, British daytime TV couple whose book club choices shift warehouses of paperbacks for the anointed authors). 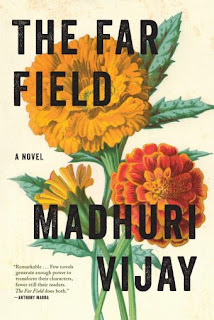 Madhuri Vijay’s The Far Field (Grove Press) has just come out in America (the UK edition doesn’t come out until July) amid much anticipation. In the wake of her mother’s death, Shalini, a privileged and restless young woman from Bangalore (Vijay is also Bangalorean), sets out for a remote Himalayan village in the troubled northern region of Kashmir where she encounters fractious and potentially violent regional, national and village politics. The Far Field is a beautifully written book that doesn’t shy away from confronting the harsh and divisive realities of modern Indian politics. 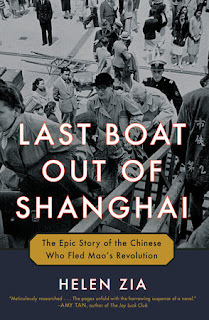 Helen Zia’s The Last Boat Out of Shanghai (Random House) has just been published. Journalist Zia has interviewed hundreds of families who fled Shanghai in 1949 as the communists took over. 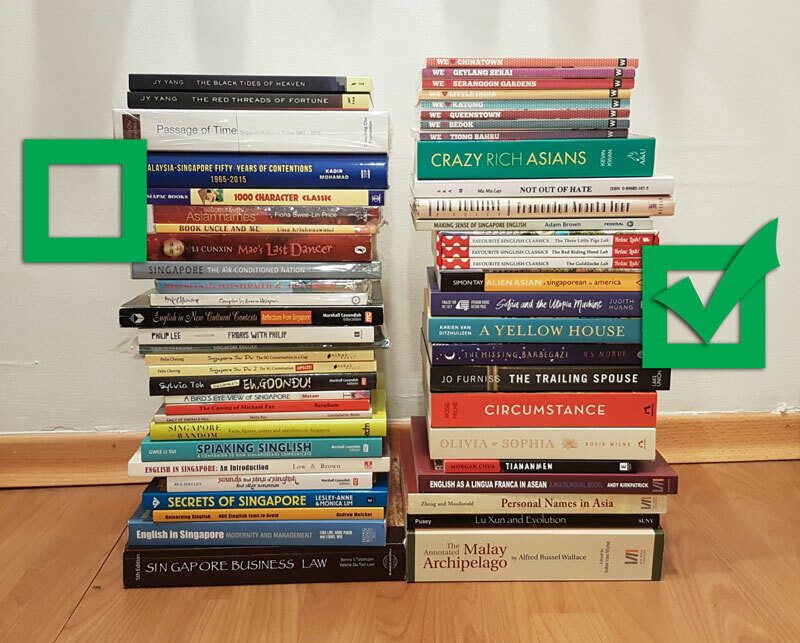 Naturally the stories of those who needed to go – to Taiwan, Hong Kong, the US and elsewhere – are poignant, but their success stories in their new homes are also uplifting. 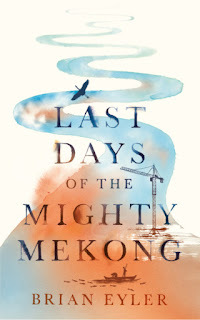 Brian Eyler’s Last Days of the Mighty Mekong (Zed Books) looks at the problems faced by this transnational river that runs through China, Myanmar, Laos, Thailand, Cambodia and Vietnam. Chinese dams that destroy the river’s natural cycles and case problems downstream, environmental degradation, over-fishing, forced urbanization…all potential flashpoints along the Mekong. Hai Jin’s The Banished Immortal (Ballantine Books) could be categorised as either fiction or non-fiction. 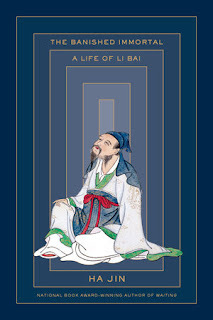 It’s a biography of the Tang Dynasty poet Li Bai (Li Po) and Ha Jin (best known for The Bridegroom, The Crazed, Waiting and Nanjing Requiem) has certainly done his background research, as this is 8th century China. Much of the poet’s world is imagined, while the events surrounding Li Bai’s death remain, to this day, a matter of conjecture. Ezra Pound’s Cathay (1915) is a masterpiece of modernism, though (as every Modernism and China Studies student knows) Pound wrote it without knowing any Chinese, relying instead on word-for-word “cribs” left by the Orientalist Ernest Fenollosa. 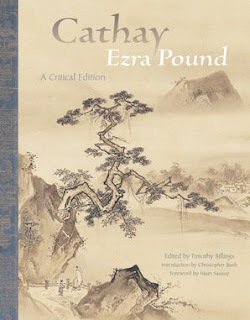 Cathay: A Critical Edition (Fordham University Press) comes fully annotated by Timothy Billings, Professor of English and American Literatures at Middlebury College in Vermont. Billings is a combination of Eng Lit Prof and Sinologist making this a useful addition however well you think you know Pound’s work. 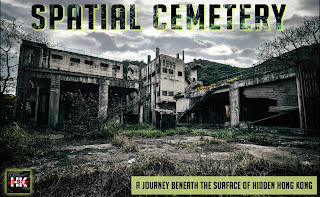 A very cool photography book is out this February, Spatial Cemetery (Blacksmith Books), from the urban explorers HK Urbex. Enter Hong Kong’s hidden world of non-spaces: environments and structures that lie fallow, usually abandoned and left to rot, or suspended in limbo awaiting evictions and demolition - haunted schools, old crime scenes, condemned buildings and scraps of modernisation not recorded in history books. 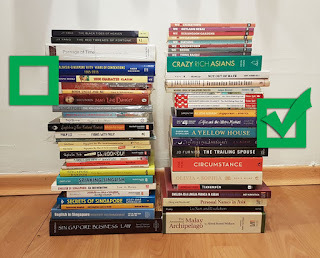 And finally, everyone who reads has tsundoku – that pile next to the bed or on the living room table. 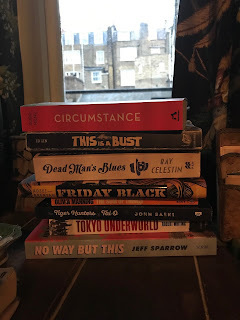 Here are ours….do send us yours (no curating of books! We want to see those piles just as they are!!) and we’ll post them at the end of the next column.